Hungry for Hunter Style Chicken? 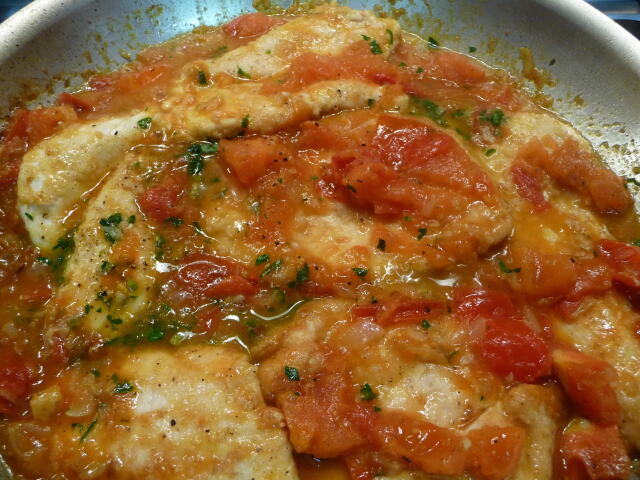 Chicken alla cacciatore…who has not had it at sometime or another. It’s culinary roots come from the word cacciatore which means hunter style and was probably a dish enjoyed by hunters in the Italian countryside. There are so many versions of it that it would be hard to speculate about which one is the “authentic” one but one thing is certain, the two main ingredients are chicken and tomatoes. Whatever else is added is strictly the whim of cook. Usually the dish begins with bone in pieces of cut up chicken and start to finish would take about 45 minutes to an hour to cook, In this quicker version, chicken cutlets are substituted for the bone in pieces, allowing the dish to be cooked in about 12 minutes. Dry the chicken with paper towels. Place ½ cup flour, salt and pepper in a paper bag. Close bag and shake to mix well. Coat the cutlets in the flour mixture and place on a plate. In a large skillet, heat the olive oil and cook the onions over medium heat until they are soft but not browned. Stir in the garlic and continue cooking until the garlic softens. Add the chicken pieces and brown them evenly on all sides. Add the bay leaf and green pepper. Cook for 5 minutes. Remove and discard the bay leaf. Serve with good crusty bread, with rice or mashed potatoes. This is my favorite meal! And your recipes are amazing. 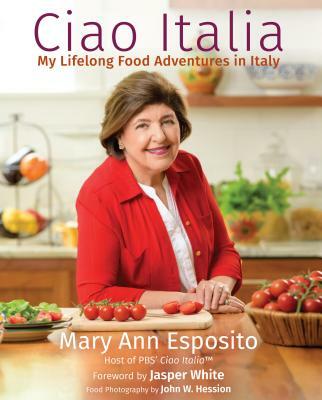 Ii use your Eggplant Parmesan Recipe exclusively! It's like cutting butter and it's great on a crusty bun!